Singapore has detained its first female citizen for radicalism under the Internal Security Act (ISA), said the Ministry of Home Affairs (MHA) on Monday (June 12). Syaikhah Izzah Zahrah Al Ansari, a 22-year-old contract infant-care assistant with the PCF (PAP Community Foundation) Sparkletots preschool programme, was detained in June this year. Her radicalisation started in 2013 through online propaganda related to the Islamic State terrorist group, said MHA. Since 2014, Izzah actively posted and shared pro-ISIS material online. Several of her social media platforms were removed by administrators because of such content, but she created new ones. MHA said Izzah was also intent on joining ISIS and was actively planning to make her way to Syria, with her young child, to do so. Izzah also said she was prepared to undergo military training and engage in armed combat to defend ISIS if called upon by the terrorist group to do so, MHA added. 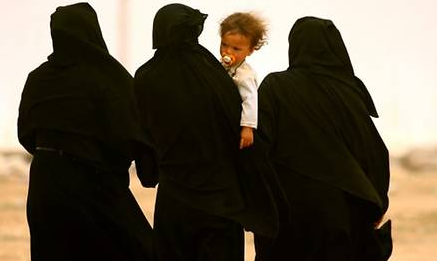 Her sister and parents – who are both freelance Quranic teachers – came to know of her radical postings in 2015 and her intention to join ISIS in Syria. They did not alert the authorities and tried on their own to dissuade her, but were unsuccessful. Izzah continued down the path of radicalism, said MHA, and in April this year, “boasted” to a contact that the Singapore authorities had not detected her. In its press release, the MHA reiterated that importance of family members and friends to let the authorities know of anyone they suspect is being radicalised or planning terror attacks.